An iconic fashion statement engineers boots for urban explorers. 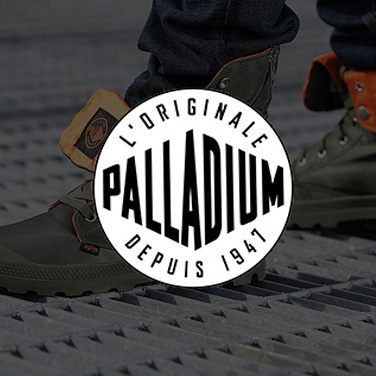 Founded in 1920 to make tires for the fledgling aviation industry, Palladium used their expertise in canvas and rubber to begin making boots that were as hard wearing as their tires. The footwear of choice for explorers battling extreme conditions, Palladium was discovered by the grunge and rave scene of the ‘90s, which propelled their iconic Pampa boot to become a global fashion look. Engineered for city terrain, the authentic design, classic lines and time-tested utility is enjoyed today by urban explorers worldwide.